In the wake of recent media reports about patient deaths, psychotropic drug use and safety issues at psychiatric facilities owned by Universal Health Services (UHS), Citizens Commission on Human Rights (CCHR) International calls for greater federal and state protections to isolate and prosecute psychiatric abuses and patient rights violations. CCHR encouraged more patients, families and hospital employees to speak out to help clean up potential systemic abuse. On March 28, 2016, The Patriot Ledger reported that for the second time in a month, inspectors from the Massachusetts State Department of Mental Health made a surprise visit to check on UHS’ Pembroke Hospital. Since last May, “four other state and federal agencies have launched investigations into the hospital and flagged high numbers of worker injuries, possible billing fraud and failures around patient treatment and the administration of drugs at the hospital,” according to The Ledger. Investigations into the death of a female patient in August 2015 prompted investigations. 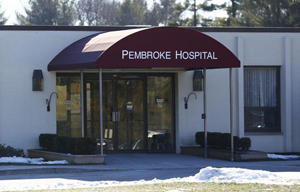 Pembroke Hospital was found to have violated policies and contributed to a dangerous and inhumane incident in connection with the woman’s death. Since October 2015, five separate government regulatory agencies have begun or concluded investigations into Pembroke Hospital. Additionally, a U.S. Occupational Safety and Health Administration (OSHA) probe found reports of 13 injuries to workers from aggressive behavior by patients in the first five months of 2015. Violent attacks by patients treated at Pembroke increased 41 percent between 2013 and 2014. Since October 2015, five separate government regulatory agencies have begun or concluded investigations into Pembroke Hospital. The State Department of Public Health also criticized Pembroke Hospital in March 2016 for failing to meet standards for patient safety and the administration of drugs—a concern for CCHR which has long documented how psychotropic drugs can cause violent behavior. There at least 22 international drug regulatory agency warnings issued on psychiatric drugs causing violent behavior, including mania, psychosis and homicidal ideation. Last year, CCHR filed complaints about psychotropic drug prescription practices in UHS psychiatric facilities to Massachusetts health authorities, the Department of Justice and state legislative committees overseeing mental health care. The top drugs prescribed in Massachusetts UHS facilities were found to be the sedative-hypnotics, lorazepam, (generic of Ativan) and clonazepam, (generic of Klonopin), and three antipsychotics: quetiapine fumarate (generic of Seroquel), risperidone (generic of Risperdal) and Abilify. Studies have linked sedative hypnotics, also called benzodiazepines with aggressive behavior. Klonopin lists “behavior problems” and “memory disturbance” as adverse effects. A 2009 study published in Pediatrics found case reports of patients treated with Adderall and other psychostimulants experiencing psychosis and mania. Risperidone’s adverse effects include agitation and aggressive behavior. In 2013, 14 psychiatrists affiliated with UHS behavioral facilities in Massachusetts had prescription costs under Medicare Part D that were more than $4.3 million, with two psychiatrists accounting for nearly 40 percent of this. Four psychiatrists were among the top 25 state prescribers of psychotropic drugs. A sample of 45 UHS-facility-affiliated psychiatrists across the country had Medicare Part D prescription costs retailing at $40.7 million in 2013. Of these, 14 each billed $1 million or more. An astounding 32 (71%) ranked among the top 25 prescribers of psychotropic drugs in their respective states and some were among the top national prescribers. In March this year, UHS’s filing with the Securities and Exchange Commission reported the U.S. Justice Department has expanded its civil probe of 21 UHS behavioral facilities to include four more Massachusetts hospitals, including Pembroke. The government is investigating whether the hospitals submitted false claims for services at the facilities. The additional centers are Arbour Hospital in Jamaica Plain, Arbour-Fuller Hospital in Attleboro and Westwood Lodge. The majority of Pembroke Hospital’s patients are covered by Medicaid and Medicare; 77% of its patients and those at its sister facility, Westwood Lodge are covered under the taxpayer-funded programs, Chris Burrell from The Ledger reported. 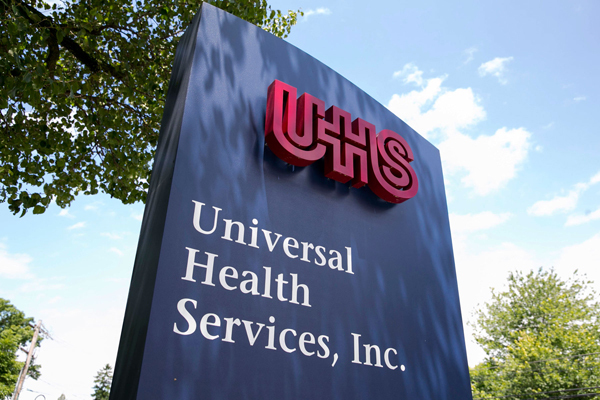 UHS receives Medicaid revenues in excess of $90 million annually from Massachusetts. Government inspectors investigating patient complaints cited 44 of UHS’s hospitals in 23 states for dangerously poor care or unsafe conditions between 2012 and mid-2015. Inspectors found serious problems at 8.4% of UHS hospitals in 2014 compared to a nationwide figure of 3%—more than double the rate of other facilities. In January 2016, UHS announced its closure of its services to the deaf and autistic at its National Deaf Academy (NDA) in Mount Dora, Florida. According to NBC News, the NDA was closing after being “hit with abuse allegations,” with many of these investigated and reported by NBC and other organizations. At least 10 patients at NDA had complained about abuse, three families filed lawsuits and the FBI was also investigating, NBC reported. CCHR International is concerned that psychiatric practices in the facilities need closer government and police scrutiny so that any psychiatrists responsible for any negligent care or fraudulent billing are quickly held accountable. A third of UHS’s mental health services income comes from Medicare and Medicaid. It has written to legislators to oversee the private psychiatric hospital sector in their state and increase protections for patients. Chris Burrell, “State makes another surprise inspection of Pembroke Hospital,” The Patriot Ledger, 28 March 2016, http://www.patriotledger.com/article/20160328/NEWS/160326114. Chris Burrell, “State errs in letter to Pembroke Hospital but promises more surprise inspections,” Herald News, 21 March 2016, http://www.heraldnews.com/article/20160321/NEWS/160328995. “Prescriber Checkup: CARLOS NEU M.D.,” ProPublica.org, http://projects.propublica.org/checkup/providers/1861561102. Nadege Rouve, Haleh Bagheri, et al., “Prescribed drugs and violence: a case/noncase study in the French PharmacoVigilance Database,” European Journal of Clinical Pharmacology, 7 June 2011, http://www.ncbi.nlm.nih.gov/pubmed/21655992; Thomas J. Moore, Joseph Glenmullen, Curt D. Furbert, “Prescription Drugs Associated with Reports of Violence Towards Others,” Public Library of Science ONE, Vol. 5, Iss. 12, December 2010, http://www.plosone.org/article/info%3Adoi%2F10.1371%2Fjournal.pone.0015337; Elisabetta Patorno, et al., “Anticonvulsant Medications and the Risk of Suicide, Attempted Suicide, or Violent Death,” Journal of the American Medical Association, Vol. 303, No. 14, 14 April 2010, http://jama.jamanetwork.com/article.aspx?articleid=185674. “Klonopin (clonazepam) – Drug Summary,” PDR.net, http://www.pdr.net/drug-summary/Klonopin-clonazepam-3064.1150. Andrew D. Mosholder, MD, MPH, et al., “Hallucinations and Other Psychotic Symptoms Associated With the Use of Attention-Deficit/Hyperactivity Disorder Drugs in Children,” Pediatrics, Vol. 123, No. 2, pp. 611-616, February 2009, http://pediatrics.aappublications.org/content/123/2/611.full. “Risperidone Side Effects,” Drugs.com, http://www.drugs.com/sfx/risperidone-side-effects.html; “Risperidone,” MedlinePlus, U.S. National Library of Medicine, https://www.nlm.nih.gov/medlineplus/druginfo/meds/a694015.html. “Four more UHS behavioral facilities are under federal investigation,” Modern Healthcare, 7 March 2016, http://www.modernhealthcare.com/article/20160307/NEWS/160309887. “Form 10-Q for UNIVERSAL HEALTH SERVICES INC.,” Yahoo Finance, http://biz.yahoo.com/e/150508/uhs10-q.html. Miles Moffeit, “Danger in the psych ward: Safety issues plague a chain of mental-health hospitals in Texas and across the United States,” Dallas Morning News, 18 March 2016, http://interactives.dallasnews.com/2016/danger-in-the-psych-ward/. Aliza Nadi, “National Deaf Academy, Hit with Abuse Allegations, Is Closing,” NBC News, 15 January 2016, http://www.nbcnews.com/news/us-news/national-deaf-academy-hit-abuse-allegations-closing-n497516.